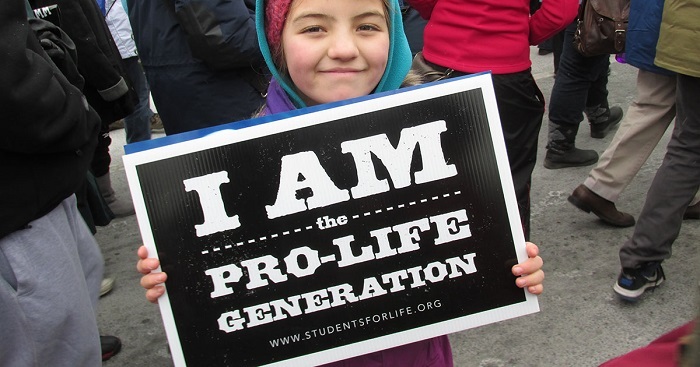 As we approach the March for Life tomorrow, we have an unprecedented opportunity before us to advance the culture of life with a unified pro-life House, Senate, and president. Here are some bills you should know about for 2017 that will defend the innocent and protect the consciences of the American people. This year, like never before, let your representatives know of your support for these crucial measures that will save lives. The No Taxpayer Funding for Abortion Act would permanently codify the Hyde Amendment and apply it across all federal government programs, preventing federal funds from paying for elective abortion and health care plans that include elective abortion coverage. This bill (H.R.7) passed the House on January 24, 2017, and its Senate companion bill (S.184) is currently pending a vote in the Senate. This bill requires health care practitioners to treat babies born alive after failed abortion attempts with the same care they would provide to a baby born at the same gestational age. Additionally, it includes penalties for the intentional killing of infants born alive. The bill also gives the mother of a child born alive a private right of action to seek relief in case an abortionist were to kill her born-alive infant. This bill will ban abortions after 20 weeks’ post-fertilization, the point at which science tells us a child can feel excruciating pain. With this budget reconciliation bill, a special legislative vehicle that can pass the Senate with just 51 votes, pro-lifers can see Obamacare gutted, stopping subsidies for health care plans that cover abortion and see over $400 million rescinded in annual mandatory spending that currently funds Planned Parenthood. These taxpayer dollars would then be reallocated to other federally-qualified health centers that do not provide abortion. This bill passed the House and Senate in 2016, but unfortunately former President Obama vetoed it. President Trump has indicated that he would sign this legislation. This bill would ban dismemberment abortions in which unborn children are brutally torn apart limb from limb (also known as dilation and evacuation abortion). This bill would stop discrimination against pro-lifer Americans, by the government and entities it funds, who object to being forced to participate in abortion (such as doctors). This bill would codify abortion conscience laws like the Weldon Amendment that have to be re-added to annual spending bills, and the bill would give pro-life victims of discrimination the right to sue in court.